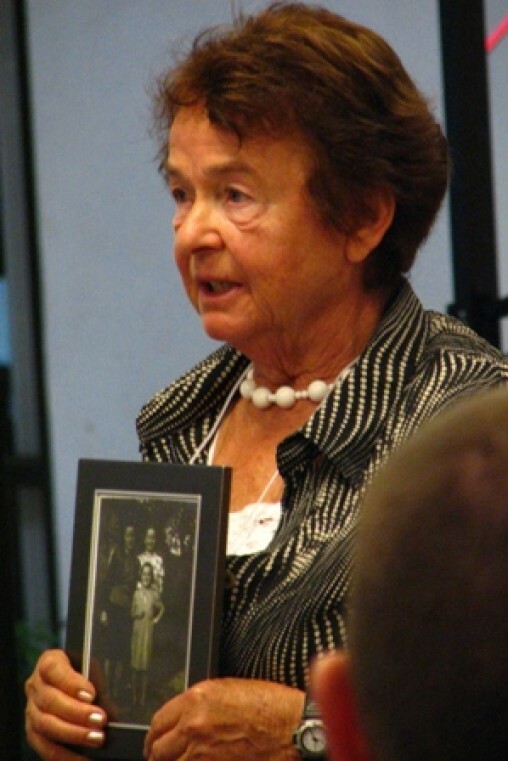 I was born as Miriam Polanowicz, in June 1935 in Okuniew, Poland, near Warsaw. I was the second youngest child of Lieb and Lyia Polanowicz. I had two brothers and four sisters. I was raised in an Orthodox Jewish home. When Germany invaded Poland in September 1939, things got bad for the Jews. All the Jews from Okuniew were deported to the Warsaw ghetto in the spring of 1940. My uncle Itzak invited my whole family to stay with his family in one room on Novoliki Street in the Warsaw ghetto. I stayed with Stasia and her husband, and later lived with her mother and took care of their cows. Several Jews in Okuniew were denounced and killed. After those killings, the Germans came to get me. From that moment, I went into hiding, in field and attics. A friend of mine before the war, Wanda Hadrysiak, sent her mother with a message to meet her at the train station in Warsaw. I traveled in disguise not to be recognized; I never knew who could turn me in. I was in hiding with Wanda and her family in Warsaw. During the Polish uprising in Warsaw, Wanda and I were expelled from the city. While we were fleeing, we were almost executed by a group of Germans. We were saved by Polish doctors who put yellow powder on us. The Germans believed we had jaundice and set us free, which prevented us from going to a concentration camp. We made our way to a farm; we worked in return for food. Wanda's husband was wounded in the Warsaw Uprising; we joined him in Krakow. In January 1945, we were liberated by the Russian army. We moved to Bydgoszcz in northern Poland. In May 1947, I was chosen to go to Denmark, a trip organized by the Red Cross for orphaned children. I stayed with the Larsen family for several months and they treated me very well. I found out that my uncle Abraham survived Auschwitz. He was living in Paris and I joined him there. In 1948, I went to Quebec City in Canada. I finished teacher's college and married in 1958. I have three wonderful children and six grandchildren. I got my master's degree in social work and worked for 23 years in the state of Arizona in Child and Adult Protective Services. I want to continue to share childhood experiences with others in the hope that my words encourage tolerance and help to prevent another Holocaust from ever happening. Click here to read more stories about Maria.